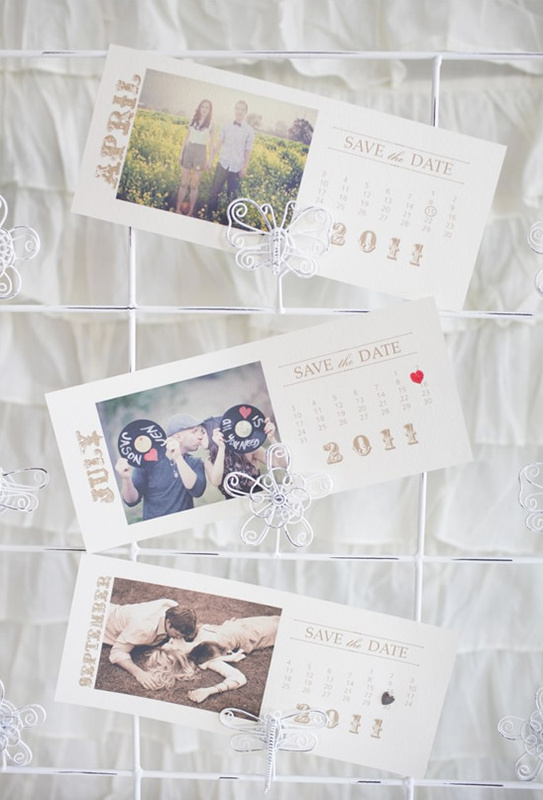 Remember our Free Save The Date Calendar Photo Calendar Cards? Well.. we have created a new one for you that is a little bit on the vintage side. We used some of our favorite photographers as examples. The above photo is from Elizabeth Messina. How dreamy is that picture? 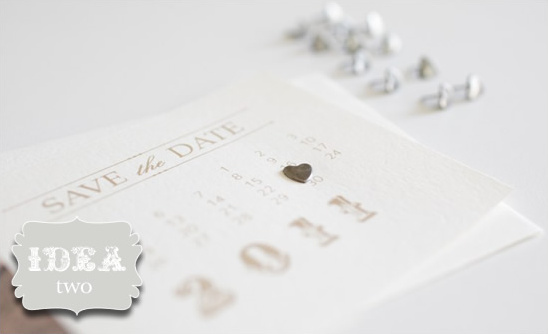 - Stamp and Ink, or Brads and a 1/8 inch hole punch. 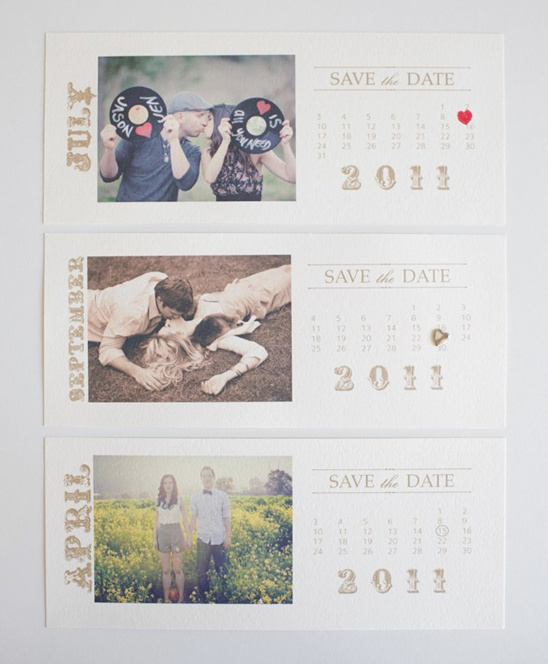 Choose your favorite photo and print or trim to 4 inches by 3 inches and attach it to your Save the Date. You can go to your local photo lab or print them yourself on photo paper. 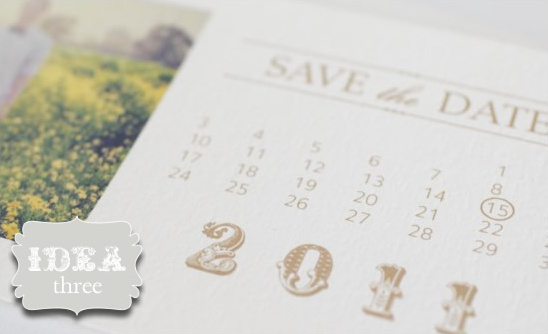 (We have printed the image directly on the card. The first photo is taken by Caroline Tran and is actually one of sister wedding bloggers Jenn from Green Wedding Shoes. You can see her entire love shoot by clicking here. The second is by the lovely Elizabeth Messina The last photo is by Chenin Boutwell, it is actually from our engagement shoot that we featured yesterday. To see the entire shoot click here. Print out your cards. We used the Epson Stylus Photo 1400 and it's amazing! 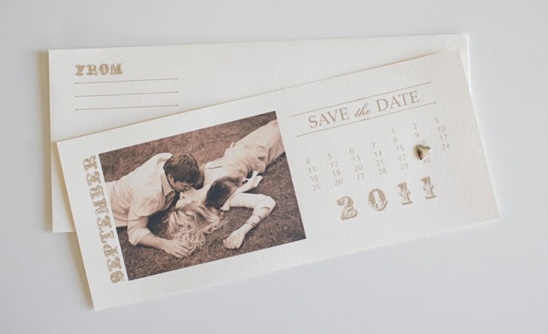 Perfect for all of your wedding DIY projects. Brads are super cute! We found these little gems at Micheal's and used a 1/8 hole punch. 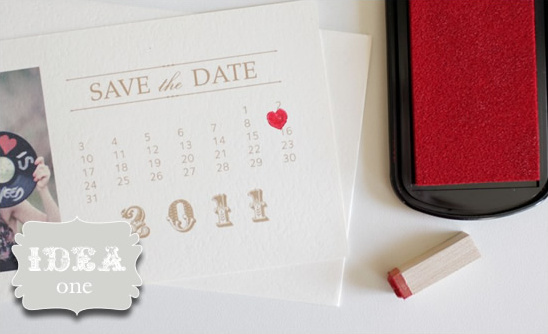 If you have access to any photo editing program, you can simply create a circle graphic to mark your date. Or you can just draw in a circle by hand and get some friends to help out!